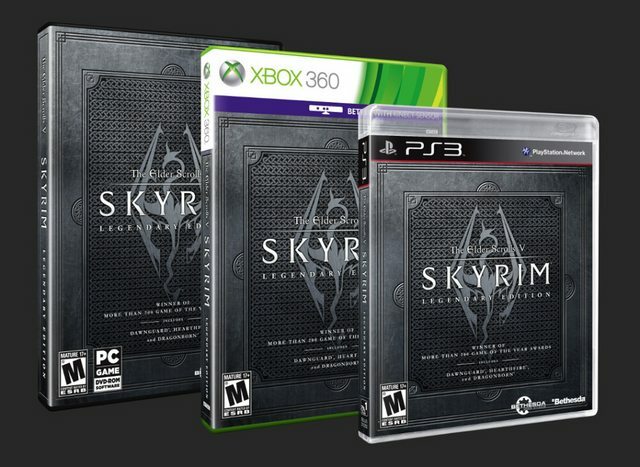 Bethesda Softworks stated this morning it's "moving on" from Skyrim, which it began working on back in 2006. The developer will continue to provide "minor updates to Skyrim as needed," but don't expect any more official downloadable content. Skyrim produced three pieces of major DLC: the vampiric Dawnguard, homey Hearthfire and the best-reviewed expansion, Dragonborn. The last included Solstheim, an entirely new region imbued with Lovecraftian tones. now the dev work has officially concluded, there has been plans for a 'Legendary Edition' which compiles the base game and all 3 DLCs into a single package. good for those who have been waiting for a complete experience of Skyrim. 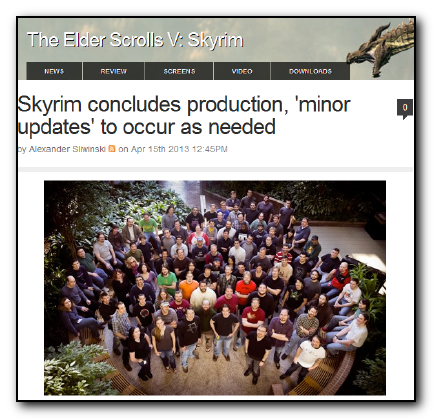 Re: Skyrim officially done, Legendary edition coming soon! well, it's here. Skyrim Legendary Edition! Coming to Xbox 360, PlayStation 3, and PC on June 4th for $59.99 (European territories will see its release on June 7th), this package includes the most up-to-date version of the original game (employing the 1.9 title update),as well as the game’s three add-ons: Dawnguard, Hearthfire, and Dragoborn.